Is Genesis’ Story of Creation True? As we’ve recently turned again to the beginning of our Torah, I want to address an important question: Is it true? So what do I mean by a religious or poetic truth? They answered that just as the top and bottom of the letter bet are closed, so too are secrets of the essence of God above, and of what happens when a person is laid to rest in the ground below. Just as the back of the letter bet is closed, so, too, is knowledge of God’s actions before the world was created closed to us. But the front of the letter bet is open, teaching us that we should concentrate our efforts and our energies on that which is open to us – this world and its mysteries. In other words, one truth the rabbis derived from the story of creation is that the mysteries of what happened before the world was created, what happens after we die, and a complete knowledge of God’s ways are beyond us and should not be our main concerns. Rather, living lives of purpose and meaning and making this world as good as we can while we are here – these things, the rabbis urged, should be the object of our efforts. Going a bit further, then, the truth of the story of creation lies not in the contention that it happened as written. The truth to be gleaned is that creation was not an accident, but rather that God is the initiator of creation, and just as it is meaningful and purposeful, so too can our lives have meaning and purpose. Furthermore, as creatures created in God’s image, we human beings – not the tiger or the rhinoceros – are in charge of and responsible for this world and what happens to it. Indeed, it is an awesome responsibility. The final element of truth to the story for Jewish thought is that it includes the idea of Shabbat. If God can rest, as the story concludes, so too can we make time to rest and reflect on the meaning and purpose of our lives. When Jacob dies, Joseph’s brothers fear that he will take revenge on them for selling him away as a slave (Genesis 50:15). When his brother’s throw themselves on Joseph’s mercy, he speaks tenderly to them saying, “Though you intended to do me evil, God has turned it to good to bring about the saving of many lives” (Genesis 50:20). He then continues to protect and support them during the ensuing years of famine. Of course they did not all live happily ever after. It was only a peaceful interlude until, as we read next week, “a new king arose who knew not Joseph (Exodus 1:8),” and enslaved us and threw our babies into the Nile. Vickie and I have recently returned home from a ten-week stay in Germany. As I ponder our experiences, I wonder: was our journey part of a happy ending after perhaps the most horrific period in Jewish history? Or is it, like the ending of Genesis, an interlude of calm before the next storm arises? Our visit gave us many encouraging and uplifting opportunities. We taught hundreds of high school students about the Holocaust and basic Jewish values in an exhibit about the life of Vickie’s mother, Stefanie Steinberg. Stefanie, who was born in Breslau, is still an active artist at 93. 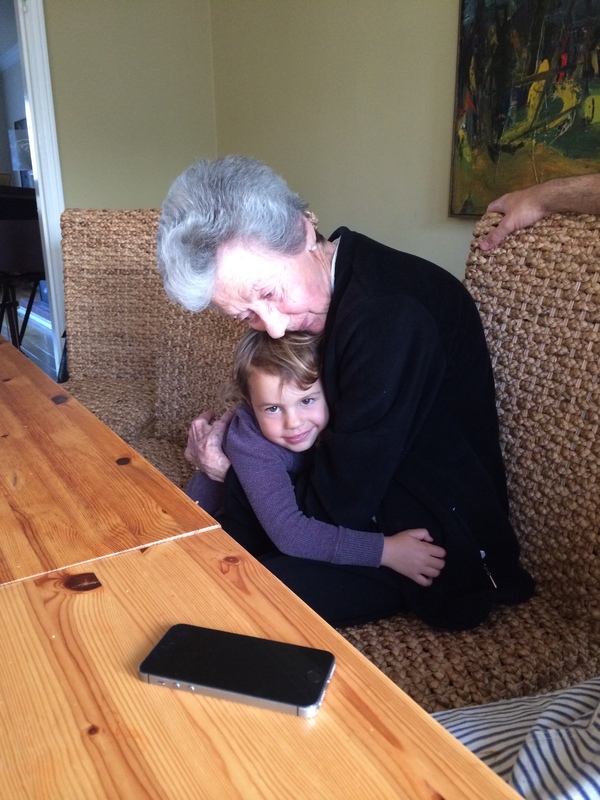 Her idyllic childhood came to an early end when her family had to flee the Nazis. Although Stefanie never could complete her high school education in the 1930’s, grateful German students now preparing for their graduation send her affectionate emails and voice messages. They thank her and us for the chance to learn about her struggle and vow that their generation will not allow such things to happen again. 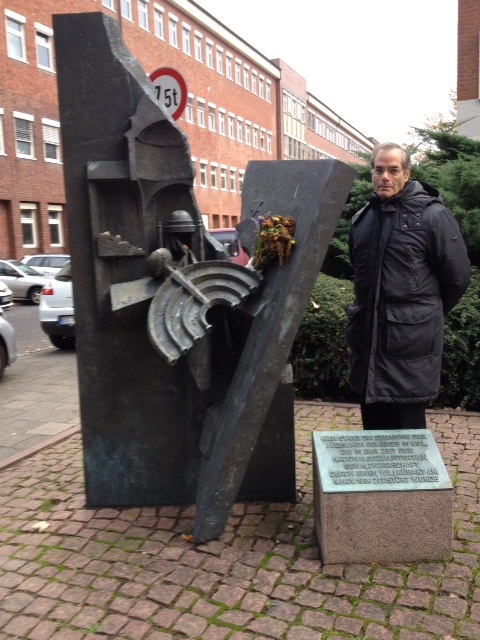 At the Jüdische Gemeinde in Kiel, it was my joyful experience to speak at High Holy Day, Festival and Shabbat services and lead adult study sessions. But each time we walked to the modest synagogue, we passed the monument on the site of the magnificent synagogue that once was a landmark in Kiel before the Nazis destroyed it. While we were in Germany, I delivered ten different addresses in Lutheran churches, including one where a Nazi found guilty at Nuremberg of horrible war crimes once served as pastor. The current pastor, Martina Dittkrist, invited me to speak as part of the church’s ongoing atonement for that pastor’s crimes. I saw tears in many eyes as I spoke of reconciliation and building a better future. 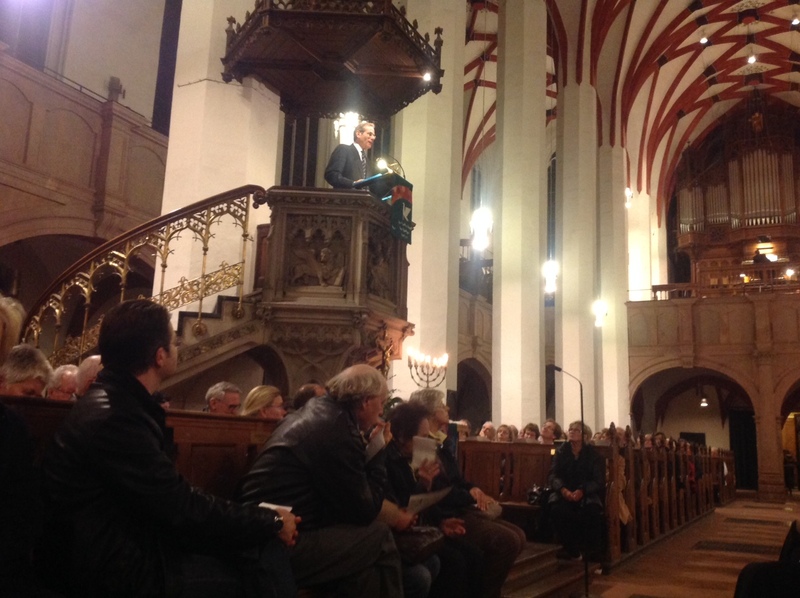 In Leipzig on Kristallnacht, the city where my father was arrested on that fateful night in 1938, it was my privilege to speak at three separate commemorations. Certainly it was a happy ending for Vickie and me to be welcomed as honored guests to the city my father left as a prisoner bound for Dachau 76 years ago. 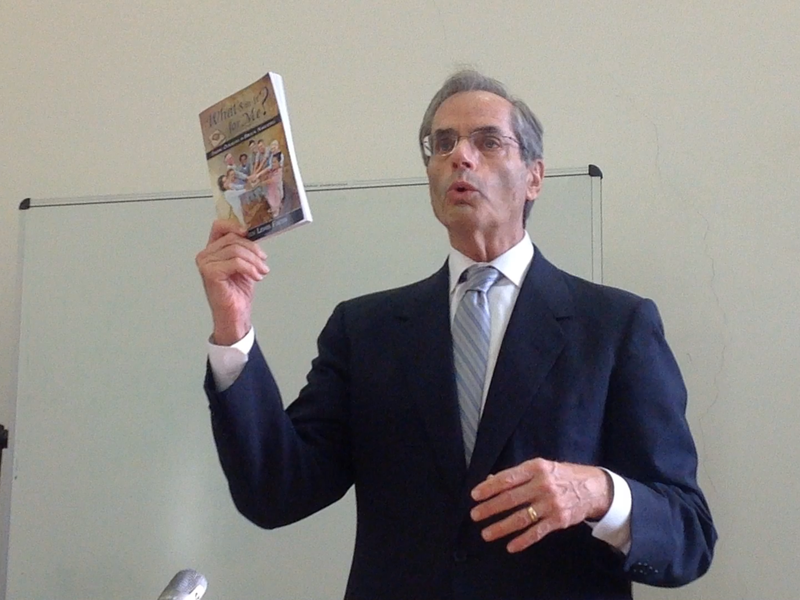 In Berlin it was also my privilege to conduct a seminar for rabbinical students and to deliver the semester opening lecture at the School of Jewish Theology at the University of Potsdam. 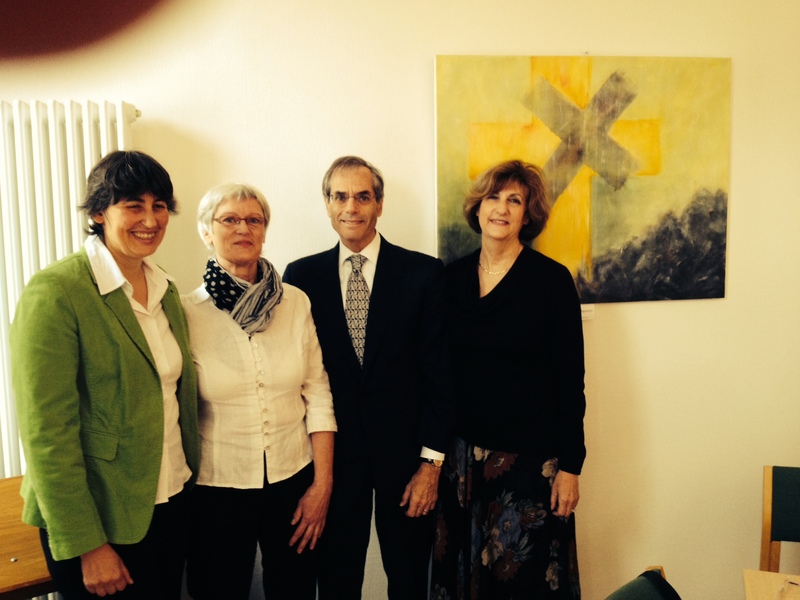 How thrilling to see serious Jewish study once again encouraged in Germany and supported by the German government. The evidence of Jewish history cries, “Interlude.” Time and again we have been welcomed and lived peaceably in places. But then the economy changed, our people were blamed, and we suffered persecution, forced conversions, murderous pogroms and exile. There is reason for concern. We hear and see the evidence of resurgent anti-Semitism throughout Europe. Recent incidents in Belgium, Hungary, France and other places are frightening. The future of Jewish life in Europe is far from certain, but there is much we must continue to do. We must do what is necessary so that Israel will always be strong. Had there been an Israel in 1935, there would have been no Holocaust. Therefore we must continue to defend Israel against those who question her right to live as a Jewish state in the sea of hostile Arab/Islamic states in the Middle East. At the same time we must continue the fight for Progressive Jewish legitimacy in Israel. Our growing movement there provides an uplifting alternative to Haredi fanaticism on the one hand and secular skepticism on the other. We must also continue to press for the equality of Progressive Judaism with Orthodox Judaism in every country in the world. Although it is an uphill struggle, we must spare no effort to strengthen our Progressive communities worldwide. The values of Progressive Judaism demand—not just allow—that we think critically and independently. They demand that we study Torah with rigor to find in it the lessons that inform our lives and make us more worthy partners with the Almighty in forging a better world. The pattern of Jewish history represented by the end of Genesis and the beginning of Exodus is a somber warning, but its repetition is not inevitable. Rabbi Stephen Lewis Fuchs, D. Min., DD, is Past President of the World Union for Progressive Judaism and Rabbi Emeritus of Congregation Beth Israel, West Hartford, Connecticut, USA. He is the author of What’s in It for Me? Finding Ourselves in Biblical Narratives.